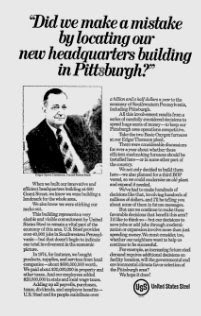 So there is the round of coverage over the anniversary of the midfield terminal at the Greater Pittsburgh airport. PG:Pittsburgh International Airport's midfield terminal at 20: A shell of its past self. Go back to Friday for my general thoughts on it all, but there is a bigger point that nobody wants to touch. Was there ever an upside to such an investment at the airport? It is a universal assumption that investment at the airport would spur economic growth. I pointed out long ago there really is no economic research to back up the premise behind all the effort. I've challenged literally everyone I have ever gotten into this debate with to show the research that shows how greater airline service is causal to regional economic growth anywhere in the long run. Nobody has anything substantial. Someone must have some clear research showing the benefits? No doubt there is greater air service where there is economic growth, but that is called correlation, which is something else altogether. The 2nd link there is for a story from 2004 and read some of the quotes and I don't mean just mine. Lots of doomsaying back then over the potential loss of international air service from the airport here. How did that turn out since the loss of air service here, including international air service, wound up far worse than anyone was really prognosticating at the time? You would have assumed that given how much air service we lost Pittsburgh would be a backwater economic case by now! Yet by virtually every measure the regional economy is going far better in the period of late when it has far far less air service than it did a decade earlier, maybe some of the least air service in history compared to other major metros. Nobody wants to infer causality there (as they shouldn't). Even before there was a glint of warning over the USAirways departure it would be hard to identify any real economic growth that happened because of the disproportionate number of flights we had here. No meaningful corporate relations or other site selection 'wins' directly tied to air service here even back then. Think about that some. Anyway, just a test to see how much has changed. I am not sure this graphic will work but below should be an interactive graphic of some data from BTS on the change in passenger usage at the top 50 airports. It may not work, but let's see. 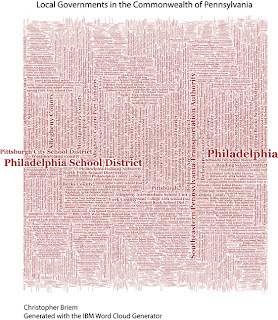 To call up the graphic on its own full page click here. "I don't know where they come up with these numbers"
So let's recap the media's entire synopisis of Allegheny County's property reassessment by just mentioning this old post here: "and all the folks agree that this is terrible". Now go read the recently completed review of the property assessment results by some notable national experts. Read from page 14 onward in this recent court filing. Personally I think that one report is more newsworthy than a few dozen or more snippets that have made news in the assessment process thus far. So I debated whether to point out the obvious here, but I wasn't even sure if this was serious. See the press release: Pittsburgh International Airport Celebrates 20 Years Of Service, Innovation And Growth In The Pittsburgh Region. No hubris there. I'm now half expecting the Nuttings to issue a press release highlighting 76 wins this season. Now I hate to point this out, but Pittsburgh is the 22nd largest metropolitan area in the nation depending on how you want to benchmark it. Yet the Greater Pittsburgh International Airport is of late the 45th largest airport when measured by passenger enplanements. In fact it is on a trend to be kicked off the list of the Top 50 airports in the US when so ranked. So when it comes to measuring competitiveness a basic metric is the Location Quotient (LQ). I'll skip the tutorial, but let's just say that when it comes to economic impact I am pretty sure commerical air transportation in the Pittsburgh region has a LQ less than 1.0. OK, skip that for now. No need to confuse anything with data or anything like that. If you really want to read the tea leaves, consider what it means that virtually all of the nearby smaller regional airports are growing. All while Pittsburgh traffic is trending down again. For a time there was a bump up that sure seemed to result from the rush of shale development drove the demand for flights into the region. Was that really thought to be sustainable? Recall also the multi-decade effort to make the airport into a center for air freight as well as passenger traffic. Well, as best I can tell we are not even on that top 50 list today. More troubling is what will happen in there is a merger of USAirways and American Airways as is being talked about because of the troubles at AA. If you look at the top destinations of folks flying out of Pittsburgh you will see Charlotte is #2. Have to believe that is all flying into the USAirways hub they retained. I really have to believe those numbers will come down if US Airways morphs with the AA network. The good, the bad and.... the confused? So this has me all conflicted more than most anything of late. So just to lay it out there, Gawker has Pittsburgh nominated as the most racist city in America. No doubt we have things to talk about and if you ask me the biggest problem here is that we just don't talk about race. For sure some do, but it is mostly different folks talking at one another and little talking with one another. Probably a similar story lots of places, but we just don't have a constructive dialogue here to really address some of the problems we do have. Still... Gawker has a few datapoints highlighted on how we got this nomination. One of the main ones itemized there is an incident at the "Highland Park Pool". If you dig into it, it is something that happened in 1931? One of the other datapoints is not from the city proper at all?? A third datapoint dates to the 1800's??? and a 4th has something to do with 'discriminatory roller rinks'? I mean... we have roller rinks? The actual Pittsburgh roller rink situation referenced comes from 1957 and something called the "Lexington Roller Rink". PG has a story on the latest in immigrant attraction efforts in town here. Certainly not the first of such efforts. More than a decade ago Pittsburgh's immigrant attraction efforts were page A1 in the NYT with this: To Fill Gaps, Cities Seek Wave of Immigrants. It has also been a nearly perpetual topic here in town for some time. 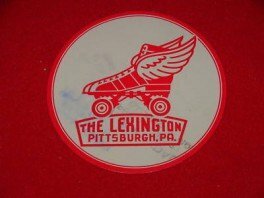 From 2006 and the diaspora report: What's stopping Pittsburgh from growing (hey, bring back the diaspora report!) or this also from 2006 in the PG: We need all the immigrants we can get. Still, it may be a unique sentiment across the broader Western PA region. Not too many years ago this also made the NYT: Altoona, With No Immigrant Problem, Decides to Solve It. Most of those stories for Pittsburgh are more regional in focus. The story today looks to be city-centric based on the Pittsburgh Promise and more focused on Hispanic immigration. One issue for Pittsburgh is that the broader recent immigration looks to be settling outside the city proper. If you want to dig into all this more, a good starting point is former WSJ journalist (and now ASU journalism professor) Gregg Zachary's white paper: Immigrants as urban saviors: When Immigrants Revive a City and When They Don’t - Lessons from the United States. But where we are right now is that most new immigrants into the region are Asian with Chinese and Indian being the most common of new Pittsburghers. It is a story that has reached back to India even. I like that VOA report because the journalist was Kane Farabaugh who is born and raised in Sheraden no less. I still think someone needs to write a meta-article on the vast army of diasporan journalists out there. It is not a small number of Pittsburghers in media elsewhere. and finally in what is mostly a pre-blog blog post in the Tribune Review see my commentary from over a decade ago: The Truth About Immigration. The ever-visioned Allegheny Valley Railroad is in the news again this week. What is really amazing is how long that particular rail line has been in the local news. Seriously that news story from 1855 is all about connecting the AVRR from the 9th Ward to Downtown Pittsburgh. Sound familiar? Via Aaron Renn is the benchmarking that shows Pittsburgh pretty high on a ranking of walking to work. We also work at home a lot? I have to admit I have not thought too too much about our apparent propensity to tele-commute. The walking is going to mostly a city phenomenon. From last year there are some maps of where in the city bike/ped commuting is highest. So if you are a relativist, it sure makes anything happening these days appear a bit tame. So there are machinations likely to lead toward some form of natural gas drilling within the City of Pittsburgh proper. Even with horizontal drilling it may seem odd that anyone would try to develop in such a dense urban area, but it has been part of the big gas play since early on as I myself received little notes from the land man years ago (with a promotion at a Pirates' game no less... btw have updated the tracker fwiw). As it turned out, I was not alone. Will more of those notes be coming to city residents in the near future? I just hope they call 'One Call' before they dig. Still looking for the first consumer residing in the city with a true arms-length purchase and use of a natural gas auto. Just one. Whomever is/was/will be that person deserves a news story don't you think? First as in current first assuming of course there was a period without any such person. I know in the past there were some folks with NatGas vehicles, but we are trying to discern if there is any new trend here at all. Where did the bikers go? Today was ACS day. As in the first release of 2011 data from the American Community Survey. There is a veritable unlimited number of topics that could be updated with the new data available and all the media folks chose to look at different topics. Locally it was the PG on poverty: Census data show poverty on rise in Allegheny County , and for the Trib it was commuting: Many more coming into city of Pittsburgh to work. Nationally and elsewhere it was a bunch of other topics with no one subject that was much more modal than the others. So before I start let me be clear that Pittsburgh has a long long history in biking and that I think the BikePittsburgh folks are great folks, do great things and the state of biking in Pittsburgh is far improved because of them. In fact Pittsburgh is gaining quite a Bike profile nationally likely as a result of their efforts. So every year the larger League of American Bicyclists put out some decent benchmarking of biking in major cities. Last year there was a big factoid that came out of that showing a big increase in biking in the city of Pittsburgh. So what is the latest info on 2011? I won't steal their thunder with the national benchmarking, but for the City of Pittsburgh which is usually the focus here anyway. So after a big jump between 2009 and 2010 there was a bigger drop between 2010 and 2011?? Did biking all of a sudden become passé in the city of Pittsburgh? Of course not! The data is not really even suggesting there was a drop in the last year, but at the same time there was likely not the jump the year before. So this is a near perfect foil to explain the dangers of overinterpreting American Community Survey data. Overinterpreting that much of the world is doing. My main message is that the ACS is best used to look at trends over time, but if you are really going to focus in on year over year changes you need to pay close attention. So on biking I went through this all last year: Grease inthe numbers, but I will update it all with the 2011 data. So what is the trend there? Up? I think it is up, but likely a more steady climb than what you might have thought by looking year over year. One last important note. The data here, like most bicycle usage data you see collected by the census is for 'commuting'. Commuting is by definition a mode of transportation to employment. If you use a bicycle for your primary transportation to school, shopping, recreation, or any other purposes it is not supposed to be reflected in this data. So in no way do these numbers reflect the full number of people who use bicycles each and every day. In fact I think the Bike Pittsburgh folks have collected their own data on the full spectrum of biking in town here and quite honestly I would trust those numbers more than the ACS estimates above. and to complete the circle. h/t on that WV story to Rod Adams whose atomicinsights blog is at the center of the Natural Gas vs. Nuclear debate that is going to be ever more defining for Pittsburgh. Why Pittsburgh? Because as goes nuclear so goes Pittsburgh which has the highest employment of nuclear engineers in the nation. The actual location quotient is even further off the chart for the region. So for Pittsburgh the real news story is not what is happening in any one of those industries, but how the competition between them will impact us in the future. So just an update on the latest data from the Census Bureau's Small Area Health Insurance Estimates program which put out 2010 data last month. noted last year was that for 2009 the estimated health insurance coverage for children (under age 18) population was higher than any county in Pennsylvania. So with 2010 data that is still the case. At 3.7% of children uninsured by my quick scan it looks to me to be one of the lowest uninsured rate for large county in the US. Honolulu, Hawaii, DuPage county in Illinois, Hartford and New Haven in CT and Middlesex County, MA are all a bit lower, but that is it. 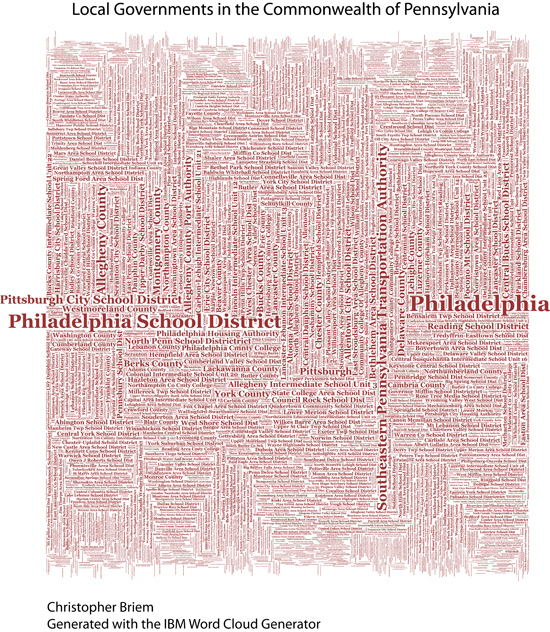 From the archives here.. but the graphic of all local governments of Pennsylvania is below. (also: higher resolution PDF version of same). Anyway, I could write this again on why regionalism is so hard. And for those who think this is all some ploy to consolidate into big governments.. NO, that isn't the point and there are things that can be done that fall far short of some mega consolidation which in fact almost happened in Allegheny County in 1929. Check out what is going on at the other end of Cleveburgh in Cuyahoga County these days. From last month, but the latest data on local inflation has an odd factoid in it. If you look into the detail of how prices went up year over year in Pittsburgh, the data is showing an 11% annual increase in local apparel costs? What's up with that, it does not seem to be part of a larger pattern elsewhere?? The end of Scotch-Irish frugality? All the shale workers in town have a hankering for locally procured Tommy Hilfinger? Something more innocuous popping up in the data? I really have no idea and would love any insight. By far apparel has the biggest annual jump among any of the major categories the BLS itemizes for Pittsburgh. By my quick calculation it is the biggest percentage increase in over a decade for and one of the biggest jumps ever recorded for apparel in Pittsburgh. But the detail with the apparel data is on the bottom of the page here. Check out the change betweeen the first half of 2011 and first half of 2012. An inkling of that was apparent long ago. I guess the thing that I wonder about is why nobody ever poked much into the state of retail over there before this. Maybe I missed a story along the way? Still the redevelopment of the site remains one of the more remarkable stories when you consider what was there before. What happens if the dams fail? One thing is that Pittsburgh will lose its single biggest international export. We've been through this before. Yes, the biggest international export (measured by $ value and most certainly by tonnage) from the greater Pittsburgh region is coal. The same hard black stuff that we have been exporting for going on 3 centuries I figure. New Pittsburgh, meet original Pittsburgh. There really is little new in the big picture. 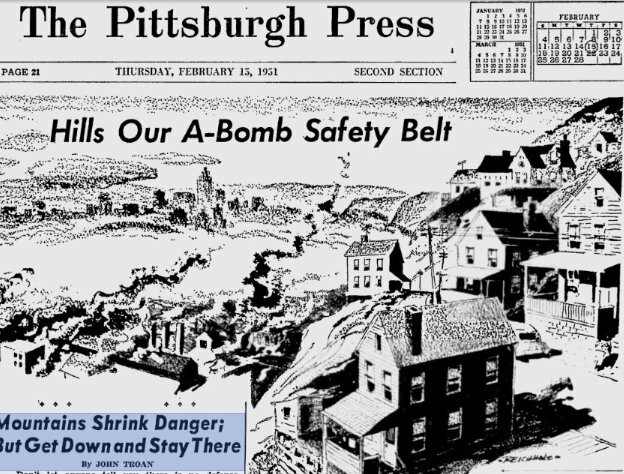 It is about the oldest news story there can be in Pittsburgh. Yet not everything is as it has been in the past. The news angle of late is the growing battle between natural gas and coal. Coal is pretty scared of the long term future despite the record export levels of late. Most know that the coal industry is even channeling the shale folks in creating the meta organization and hiring a prominent state senator to lead it. He is already out there making the "don't forget me" talk. Strange thinking that after 3 centuries all of a sudden coal needs a collectivist corporate spokesperson, but such is the world these days. Remember just before the news became all-shale-all-the-time? Just a few years ago the coal industry was pushing the envelope to fill a growing need for workers. A very different tack on that than the folks who parachuted in to start the shale wave. Speaking of whom: whoops. Strike the title. It is not what happens if the dams fail.... it's what happens if any one dam fails. You would be hard pressed to come up with comparably detailed data for the region. The best you could probably do is a report I did but is now quite dated being based solely on data from 2000: EEO Employment Data for Allegheny County and the Pittsburgh Region. That report can't be updated until later in the year when there will finally be new data out. Has much changed? So yeah.. I know is there is this modernism called the wild card in baseball. Forgive me for not quite understanding since I don't think the wild card existed in professional baseball the last time the Pirates even thought about going to the playoffs. Anyhow... I figure the team's Mendoza number is 9 right now? Mark your calendars.. it's about time for assessments to get in the news again. One week from today. So there is an idea being put out there to raise the homestead exemption for local property taxes in the city of Pittsburgh and school district. Now who suggested that might be a good idea broadly? I guess the only difference is I did not think of the idea of raising the exemption amount as "in lieu of" mandated anti-windfall millage changes. I guess the math works out the same. My point then and now is that you have to raise the homestead exemption proporitonal to the reassessment value change or else the impact is regressive by default. In other words.. the fixed amount exemption will be a lower proportion of total real estate value after the reassessment. Just to keep the tax incidence status quo you need to adjust the exemption amount. Remember the kerfuffle over municipal population estimates for 2011 a couple months ago. In re: Misreferencing Misoverestimated Population. This makes pretty clear that their methodology this cycle was mostly an extrapolation of county trends spread evenly across municipalities. Via my friends at the PA State Data Center is their map of the month of the same data for all Pennsylvania municipalities. Anyone want to bet that county lines don't matter as much as it appears they do in the data shown in the map? So the big debate of late is whether the Allegheny County Regional Asset District (aka RAD) is allowed to use some of its funding to support public transit. Some may not think about it much any longer, but what is the Regional Asset District? No real 'region' in it. The RAD is a semi-autonomous entity that collects a 1% supplemental sales tax only on eligible purchases only in Allegheny County. Nowhere else in the region is impacted; so region with a small 'r' I guess. The RAD itself and the tax has not been around all that long having been implemented following a contentious public debate in the early 1990s. The tax itself went into effect in 1994 based on enabling legislation that first passed in Harrisburg and then with the support of a majority of the county commissioners that ran county government here at the time. The whole idea of the RAD however was a culmination of a decades long process that started long before it finally came into being. For more on that history read: Pittsburgh: a regional city with a local tax base, though I would argue it all connects to earlier debates on local public finance and debates in the 1950's that lead to to the creation of the city's earned income (or wage) tax and also to some of the earlier attempts at the creation of an Allegheny County Home Rule Charter.... before the version that finally came into being later in the 1990's only after the RAD was created. Back when it when the new tax was being debated it was big news. The core of the debate was what would happen to retail firms and sales in Allegheny County. Would everyone flood out of the county to make their routine and large purchases. Would retail biz in the county collapse as a result of the extra tax that could be escaped by a short ride in most any direction? It was a very real question and very much expected by many. What really gets me a bit is that around here there is just no follow up to anything. Lots of debate at the time looking at what the future impact of what the RAD would be, but nobody every bothers to look back once there is real data to look at. So what happened? Did Allegheny County become a retail wasteland because of the RAD tax? It is not that hard a thing to check. Before looking some pesky data we now have, what do we know about what happened to the retail sector within Allegheny County in the decade following the implementation of the RAD sales tax? Maybe a few new retail confabs have come into existence and thrived. Waterfront, South Side Works, Pittsburgh Mills, virtually all of the retail paroxysm otherwise known as Robinson.. Folks new to the region may not even realize that just a few years ago most all of that was completely undeveloped land. Like all of it. No mall, nothing. Sure seems like retail has just withered in the years following the implementation of the RAD tax. Back before the RAD there was regular discussion about how under-retailed the county was. I don't hear that much any longer. For those who want to argue the point. Argue with the data. Here is the total value of retail sales by county within the Pittsburgh MSA. This data is from the Census Bureau's quinquennial Economic Census if you want to check the numbers. 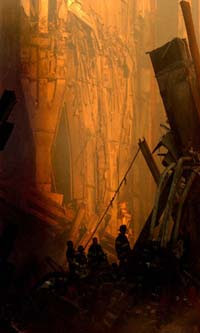 I pulled the values for 1992, just before the RAD was implemented, and for 2007 which is the latest available. Note that the values are nominal values and there has been inflation over 15 years. So I calculated the growth in total retail sales by county, but also added up the cumulative sales and change for the 6 suburban counties. Given the prognostications on what impact the RAD tax would have to have, you would at the very least expect Allegheny County to trail growth in the suburban counties. When you add in the fundamental fact that population in the suburban counties has fared a lot better than the decline for Allegheny County over that period you would expect Allegheny County's retail sector to trail the suburbs by much more. You would expect a lot of retail sales to follow patterns in residential migration... RAD tax or not. So not the normal place to find urban stuff, but Foreign Policy has an issue dedicated to cities. They cite a list of the world's 75 most dynamic cities. Don't get exicited. No, we are not on it. I suspect that measuring city size or region size every place on that list is just a lot bigger than we are. One interesting thing though is that the list does include a place called "Rhine-Ruhr" as #51. There used to be a cottage industry comparing and contrasting the steel-post steel histories of Pittsburgh and the Greater Ruhrgebiet region. Lots of shared industrial decline history between the two regions. The comparison is not perfect. The Rhine-Ruhr region is clearly not any one 'city' but several. Duisburg, Dortmund, Düsseldorf, Essen, Heidelberg and others; the essence of a 'conurbation' to use the 75 cent word (inflation you know). Duisburg may ring a bell with long time readers here. I mention on occassion Duisburg, one of the Ruhr cities that has an awful lot of similarities to Pittsburgh past, Pittsburgh present and arguably Pittsburgh future at this point. For the true data wonks out there. 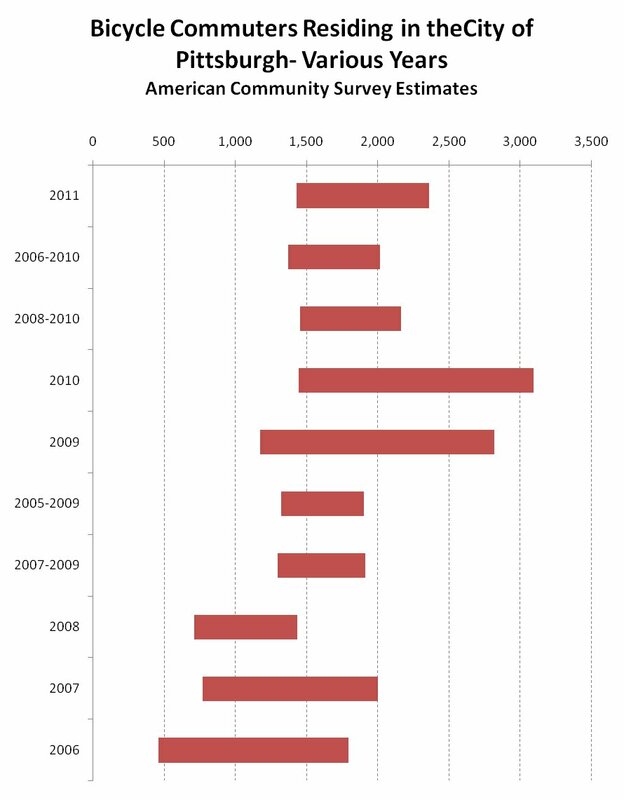 The next dump of data from the Census Bureau's American Community Survey (ACS) has been scheduled. The 1-year 2011 ACS data will be available on September 20, 2012. This will be the first 2011 data released by the Census folks and like other 1-year ACS estimates will be for the largest geographies, i.e. those with populations of 65,000 or more. Tentatively the next 3-year (2009-2011) ACS estimates will come October 25. This will cover areas with populations of 20,000 or more. Also tentatively expect the next 5-year (2007-2011) ACS estimates to come out December 6. That will be for all areas covered by the ACS including data for individual Census Tracts and Block Groups. So does college pay off? I know there are doubters that are getting louder... but at the end of the day lifetime earnings add up. Below is the differential in wages by educational attainment among those employed. It's not only the wage differential in itself that matters, but you have to also consider the significantly lower unemployment rates for those with more education that compounds these numbers. Also some recent commentary from the Cleveland Fed is pretty clear that the premia for higher education is not going away anytime soon. A topic that comes up now and again is how students impact the local labor force, especially college students. Direct from the Bureau of Labor is the graphic below on labor force participation by school enrollment status. This is for the nation, but still it shows that indeed students are counted in the labor force just like others if they are currently not working and are looking for work. If not looking for work currently, then they would nominally not be part of the labor force in the first place. Given that the enrollment counts at local institutions of higher education have been ramping up over the last decade, and a roughly 50% labor force participation it makes a difference in local labor force stats... especially for the city proper. The actual interactive version which you can drill down into for more stats is online here. So not really the book of the moment. This is actually from a few years ago and I keep it on that book pinwheel on the right, but I don't think anyone notices that any longer. I should probably update a few of the books included there.